Drew Trautman - Franchise Partner, 1-800-Got-Junk? Sasha Lipton is no stranger to community service work and helping others. At a young age she spent time with her father delivering food to homebound seniors for Meals On Wheels. Over the years she has worked at numerous soup kitchens and also sponsored a child from the Dominican Republic through Children International. In the summer of 2006, Sasha volunteered as a counselor at Camp Sunshine, a retreat for children with life-threatening illnesses and their families. It was during the same summer that she got the idea for Second Chance Toys. Driving with her mom through neighboring towns, Sasha saw many toys being disposed of at the curb, and most of them were as good as new. It got her thinking about how discarding toys was wasteful and terrible for the environment, and that many children would love to have them. As a result of her vision and efforts, Second Chance Toys is now a 501(c)3 nonprofit and tens of thousands of toys have been and continue to be donated to organizations throughout the United States and internationally. Because of the uniqueness and dual nature of the program, Sasha's efforts have been featured in numerous newspapers and on television and radio shows, including locally on ABC TV and nationally on Good Morning America as well as NBC TV news stations, WOR News Talk Radio, NPR, Fox News, and cover stories in the New Jersey Star Ledger. In addition, Sasha has been a featured speaker at the Good and Green Marketing Conference in Chicago regarding the impact of Second Chance Toys on the environment and children. Sasha's efforts have been recognized with a President's Volunteer Service Award on behalf of the President's Council on Service and Civic Participation. She was a Distinguished Finalist and recipient of the bronze medallion from the 2008 Prudential Spirit of Community Awards for outstanding volunteer work, and she was recognized with a Resolution from the Union County Board of Chosen Freeholders for her work in the community. A graduate of Northwestern University, Sasha is now honing her entrepreneurial skills in a new a start-up Clean Sweets By Sasha, based in the San Francisco Bay area. Her vision for Second Chance Toys is to build it into a thriving national charitable organization with community involvement and impact coast to coast and far beyond. Sherry Marin Altman is an experienced professional in the areas of business strategy and environmental management. She is an MBA, an environmental engineer, and a career consultant — with over 15 years’ experience in management consulting, engineering consulting, and environmental consulting. Sherry joined Booz Allen Hamilton in 2001, and is now part of the top 3% leadership of this 22,000 person, $5B strategy and technology consulting firm. As a Principal/Director, Sherry leads Booz Allen’s Commercial Strategy practice and Pivotal Growth service offering. She works with for-profit, non-profit, and government organizations, advising senior leadership on some of their most critical and strategic issues. Her projects include market analysis, market entry strategy, competitive intelligence, business planning, investment advisory, and organizational transformation. She has led alternative energy investment strategies for multiple clients, covering wind, solar PV and solar thermal. She also recently completed a diversification growth strategy for a client with an innovative technology for energy recovery from industrial processes. Prior to Booz Allen, Sherry was an Energy and Environmental consultant with Sentech, where she managed DOE and EPA projects, including support to the ENERGY STAR program. Sherry was also previously a Transportation Planner with Urbitran Associates, where she supported State transportation agencies, including MTA Metro North Railroad and Connecticut DOT. On the volunteer front, in addition to SCT, Sherry is an inaugural member of the Mentor Capital Network, where she reviews business plans and advises early-stage social and eco-entrepreneurs on their multi-bottom-line companies. Sherry holds an MBA and a Masters of Environmental Management (MEM) from Yale University, and a bachelors in Civil and Environmental Engineering from Duke University. Why SCT: "I loved the premise of SCT from the moment I read about it. I am a mother of 3 young children and an environmental professional. With each child’s birthday, and with each holiday season, I watch as my children unwrap far too many toys -- and while I appreciate the generosity of our friends and family, I also cringe at the piles of plastic parts accumulating in my home; toys thrown astray after their fun has worn off. 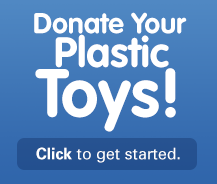 I know these toys have a longer life to live, and Second Chance Toys is an opportunity to take action; where I can reduce environmental impacts while also bringing the joy of toys to children in need." Allison Klein is the founder of toy boutique and play resource, Rose & Rex. She earned a B.A. in Anthropology with minors in Psychology and Writing from Washington University in St. Louis, and a dual M.S.ED degree in Early Childhood and Childhood Education from Bank Street College of Education. While in graduate school, Allison studied the importance of imaginative play on early childhood development, and later applied this research in pre-kindergarten classrooms where she worked. As she watched her students grow and transform through play, Allison knew she wanted to start a broad conversation about the importance of play for children in today’s results-driven culture. A native New Yorker, Allison lives on the Upper East Side and appreciates the abundance of experiential learning opportunities that exist on every block. Why SCT: "As a teacher and founder of Rose & Rex I believe that play is the single most important developmental tool young children have. Play is not a luxury. Rather, I believe that play is a right. All children should have the right to play in a healthy world, which is why I am so committed to Second Chance Toys’s mission of providing toys to children in need and reducing plastic waste. At Rose & Rex we #playitforward by giving back to Second Chance Toys to ensure that every purchase makes a positive impact. Through this partnership, we aim to help SCT collect and donate more toys so that all children have the essential opportunity to grow and develop through play." Leslie Leventman is a founding member of MTV Networks (MTVN) and a 30-year veteran of the media and entertainment industry. She has served as executive vice president of creative services, special events, and convention planning for MTVN (a unit of Viacom), one of the world’s leading creators of programming and content across all media platforms. Since joining the company in 1979, Leslie’s creative leadership has led to an impressive body of work. As a branding expert, she has developed integrated creative strategies that delivered MTVN’s business messaging and promoted the company as an industry leader. Leslie’s unique style of branding led to an impressive body of work that has bridged MTVN’s properties and helped shape its voice. Her efforts have resulted in countless acclaimed campaigns, events, and presentations to key business constituents and consumers. Leslie played a leading role in the creation and expansion of many of MTVN’s domestic and international assets, including Nickelodeon, MTV, VH1, and Comedy Central. Additionally, Leslie is a strong believer that uniting diverse perspectives enhances creativity. This is a driving theme of her career, as she has championed projects like MTVN’s first global internal magazine and intranet site, and led a companywide initiative encouraging employees’ creative visions. Leslie has been recognized for leading outstanding teams, whose works have influenced pop culture and been displayed in the Smithsonian. She has received hundreds of industry awards, and was honored by HOW magazine as directing one of America’s top in-house creative design studios. Additionally, she has guest-lectured about motivating creative teams in a business environment at the University of Pennsylvania’s Wharton School of Business. Leslie serves on the board of directors of Rock and Wrap It Up!, which delivers extra food from events to shelters. She founded Project We Share, the group’s corporate donation arm, in 1993, and received the Lena and Joseph Mandelbaum Humanitarian Award in 2001, alongside former U.S. Secretary of Agriculture Dan Glickman. She supported the creation of the federal Food Donation Act, the core of which came from a Rock and Wrap It Up! position paper on fighting poverty in America. The act was signed into law June 19, 2008. Leslie is also on the boards of Women’s Expressive Theater, a nonprofit arts organization that addresses women’s stereotypes in media, and Women’s Venture Fund, a nonprofit organization that helps women of diverse backgrounds establish thriving businesses in urban communities, by offering training, small business loans, and a network of business advisers to help women reach their business goals. Additionally, she serves on the board of Theatre Within, a not-for-profit performing arts organization dedicated to producing benefit shows for important causes. She has also worked to support such organizations as the T. J. Martell Foundation, New York Urban League, Rock the Vote, Children of Chernobyl, the Elizabeth Glaser Pediatric AIDS Foundation, and many more. Why SCT: "While I have served on several boards, the prospect of serving on this one intrigued me as the mission of Second Chance Toys is a completely unique one. It is wonderful to know that our efforts help both children and the environment." Shelly brings considerable experience in direct and digital marketing, business development, and social media to strategic business engagements. His mastery of the entire spectrum of 'commercial persuasion' gives him a particular vantage point that enables him to conceive and manage business concepts that integrate the ideal mix of marketing touch points. Shelly honed his integrated marketing skills early on when as a vice president at Young & Rubicam (Y&R) his responsibilities included strategic planning, involving integrated advertising, direct marketing, and public relations activities. As part of an internal marketing task force, Shelly spent time with sister agencies including Wunderman, Y&R’s direct- marketing arm where is was attracted to the quantifiable aspects of direct response. After nearly a decade in the corporate world, Shelly took to the entrepreneurial side and founded LCG to develop integrated direct and digital marketing initiatives targeting the multicultural consumer markets. Following 10 years of double-digit growth, Publicis Groupe acquired LCG, and the newly formed Bienestar LCG Communications subsequently merged with a sister agency creating a top-ten multicultural marketing agency. With a continued thirst for the start-up world, Shelly founded Community Direct, a direct marketing company where he developed a mobile-based customer acquisition platform resulting in successful programs for Fortune 500 companies. After four years building Community Direct, Shelly exited to become part of the executive leadership strartup team at Grandparents.com. As chief marketing officer, he was responsible for directing growth strategies and the consumer and trade marketing for the premier online community. Under his leadership the company grew its subscriber base and monthly traffic tenfold. Following three years at Grandparents.com, Shelly formed GrownUpMarketing, a strategic marketing consultancy that includes top digital, social and mobile media companies as clients. From building Luxury Fashion brands to building communities, Keren has come a long way from where her career began. Having garnered much success over her 12 years working for luxury fashion brands such as Alexander McQueen, Brunello Cucinelli and Nili Lotan, most recently under the title of VP of Sales and Marketing – Keren now finds her joy and professional fulfillment closer to home through the community group she founded and runs – Finally Home Jersey City. Finally Home’s mission is fostering community and personal connections by highlighting inspiring neighborhood stories and local businesses, sharing relevant historic information from around the city and organizing charitable events for the likes of RWJ Barnabas Jersey City Medical Center’s Women’s & Maternal services, JCMC's Orthopedic department, Planned Parenthood and more. She recently self-published her first book – Finally Home Jersey City - a photography-focused coffee table book capturing the beauty of life in her community. Keren also co-founded and continues to run a local Jewish organization bringing services and classes to Downtown Jersey City. She also sits on the board of the Jewish Federation Hudson County Council. Keren earned her Bachelors degree from Boston University’s School of Management with a double major in International Management and Corporate Finance. She is thrilled to be part of the Board of Second Chance Toys where she looks forward to bringing her love of community and charity work to help grow the Second Chance Toys mission. Craig possesses a broad range of pharmaceuticals marketing, sales, and general management experience on both the client and service sides, and in both Fortune 100 and entrepreneurial start-up organizations. As CEO of TargetRx from 2008-2011, Craig restored business growth and guided the eventual strategic sale of the company. Prior to joining TargetRx, he was president of the Catalina Health Resource division of Catalina Marketing Corporation from 2004 until the leveraged buyout of the company in November 2007. During his tenure, he dramatically increased revenues and profits and led the transformation of Catalina Health Resource into the leading provider of direct-to-patient communication services in pharmacies nationwide. Craig joined Catalina after nine years with Nelson Communications, where he established several new healthcare-marketing ventures, leading them from concept to implementation and commercial success. Prior to his work at Nelson Communications, Scott spent 13 years with Johnson & Johnson, where he held a variety of marketing and management positions. Most notably at J&J, Craig served as vice president of marketing as well as a management board member for Vistakon, the J&J affiliate that launched ACUVUE®, the first disposable and best-selling contact lens in the world. Craig received a B.A. in semiotics from Brown University and an M.B.A. from the Wharton School of the University of Pennsylvania. Drew Trautman is the owner of one of the most successful franchises in the 1-800-GOT-JUNK? system. Opening the franchise in 2007, he has been recognized as a leader in the organization and has won multiple Top Performer Awards including Franchise of the Year in 2008. Drew currently sits on the six-person Franchise Advisory Council of 1-800-GOT-JUNK?, an elected, internal board which helps guide the strategic direction of the business and acts as a voice for Franchise Partners. Taking the same hyper-focused approach to the customer experience and leveraging his past success growing businesses, Drew launched a new franchised moving company, You Move Me, in May 2013. He has quickly grown his business to be a leader in the system. Drew is passionate about giving back to the community. Through his businesses, he actively partners with local organizations such as Susan G. Komen, Soles4Souls, Goodwill, Habitat for Humanity’s ReStore, NYC Aids Walk, NYC Botanical Gardens, Community Food Bank of NJ, and of course, Second Chance Toys. Prior to Drew’s current ventures, he worked for the corporate headquarters of 1-800-GOT-JUNK? for three years. He coached and worked on-site with Franchise Partners consulting on all aspects of their business to include strategic planning, marketing, operations, finances, employee training, HR systems, culture, community involvement and customer experience. During this time, Drew was part of a team that was responsible for taking 1-800-GOT-JUNK? from 40 locations to over 200 locations. Previous to 1-800-GOT-JUNK? Drew worked for the Entrepreneurs Organization as a Chapter Development Manager growing chapter membership by 82%. He holds the distinct honor of being the first employee to return as a full member of the prestigious organization. After earning a B.A. in Economics and Environmental Science from the University of Virginia, Drew worked and traveled around the world. Most notably, in 1998 he held a contract job with the United States Antarctic Program and was stationed at McMurdo Station, Antarctica for six months. He is an accomplished athlete having completed over 20 triathlons including three Ironman and five half-Ironman distance races. In addition, he’s run over 10 marathons. Drew currently resides in New Jersey with his wife, Kristin.